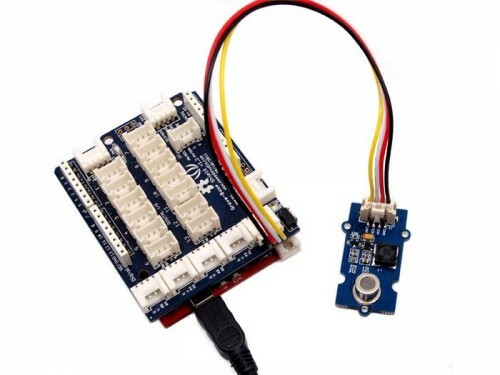 A complete alcohol sensor module for Arduino. 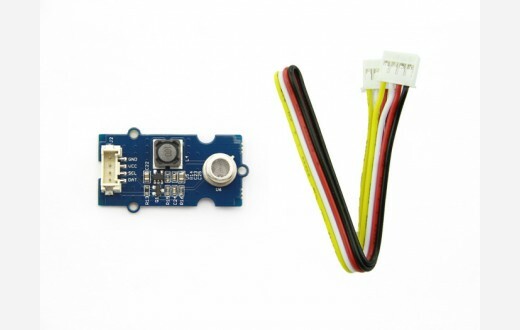 It is built with MQ303A semiconductor alcohol sensor. It has good sensitivity and fast response to alcohol, making it suitable for building a breathalyzer. This Grove module implements all the necessary circuitry for the MQ303A, such as power conditioning and heater power supply. This sensor outputs a voltage inversely proportional to the alcohol concentration in air. Note: The sensor value only reflects the approximated trend of gas concentration within a permissible error range, it DOES NOT represent the exact gas concentration. The detection of certain components in the air usually requires a more precise and costly instrument, which cannot be done with a single gas sensor. If your project is aimed at obtaining the gas concentration at a very precise level, then we do not recommend this gas sensor.